Li Bai and Du Fu -- together they are the twin giants of Tang poetry. Not only are they both great poets; they are each archetypes who represent a distinct poetic response to the world, somewhat the way the Beatles and Rolling Stones are archetypes for all subsequent rock and roll bands. Sometimes when I read or write a poem I ask myself – how much of Li Bai, as compared to Du Fu, does this poem possess? It’s like a parlor game I play from time to time. The goal here is to provide Western readers with an introduction to these towering geniuses. There are really three parts to their story. First in time comes Li Bai, who lived from 701 to 762. He is the archtype of the poet as free spirit, and not surprisingly has been a source of inspiration to many modern poets. He possessed a remarkably clear lyric voice. Many of his poems have an unstudied and spontaneous spirit, and he supposedly often wrote extemporaneously, sometimes deep in his cups. Even today his best poems still sound effortless and unflawed. He enjoyed tremendous fame during his own lifetime, and was widely recognized by his peers as the greatest poet of an incredible generation of poets, although, thanks in part to his endless carousing, he ended up getting banished from court, in his later years becoming something of a vagabond, wandering and writing through hardship and struggle. Click here to read poems by Li Bai. 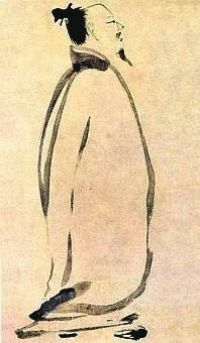 Following hard on Li Bai's heels comes Du Fu, who lived from 712 to 770. Du Fu was a great admirer of Li Bai but in many ways he stands in stark contrast to him, with a voice that couldn't be any more different. In place of the free-spirited lyrical tone of Li Bai, Du Fu's poems often sound anxious and worried, and his style is more studied, thoughtful and deliberate. Some of his poems also display a remarkably modern awareness to social injustice. Du Fu never achieved the same recognition as Li Bai in his lifetime but posthumously he has come to enjoy perhaps an even more exalted stature, venerated by many Chinese as their greatest poet of all time. 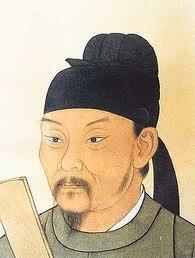 Click here to read poems by Du Fu. And finally, the third part of the story involves the friendship between the two of them. They met several times and exchanged a series of remarkable poems to each other, which provides us with an even deeper understanding of their work and their importance to one another. Click here to read some poems Li Bai and Du Fu wrote to each other.